Be apart of the latest Development in Gaylord Michigan. The new Eagle Commerce Park is now under construction. Prime Industrial B3 zoned parcels 1 acre in size. Underground electric. Natural gas available. Build to suite warehouse buildings also available. Condo Possible uses (not an exhaustive list): Wholesale sales, storage, and distribution facilities, vehicle storage & service, food packaging, fabrication shops, commercial/private storage, agricultural chemicals & supplies, or recycling facility. Other lots available. 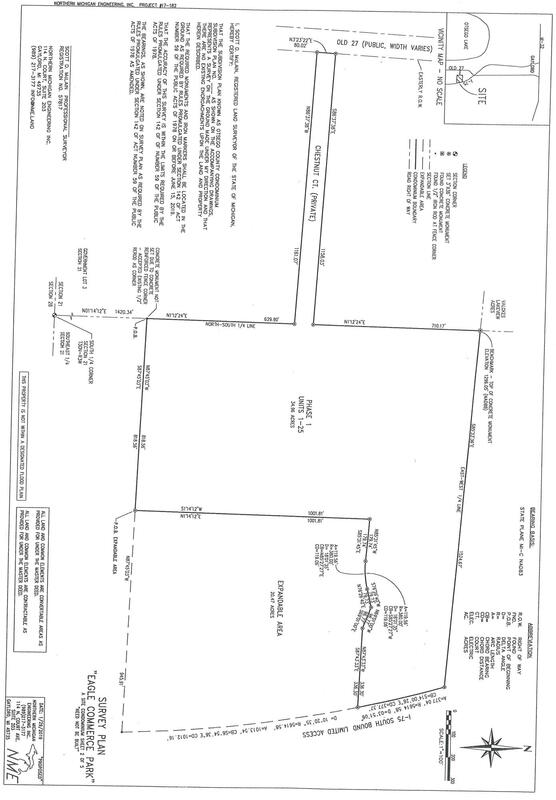 Ttl Sqft: 0.00 Zoning: B3 Business Info.